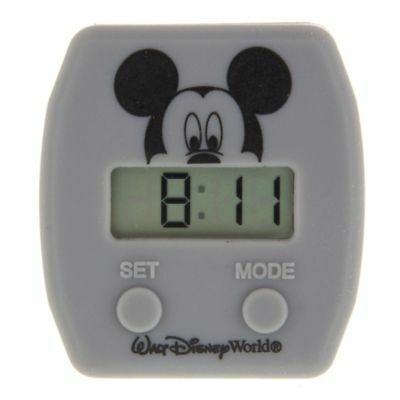 Today Disney released an updated digital clock watch slider. The new version has a printed Mickey face on it and is in a lighter gray than the previous model. The price is $19.95, up from $17.95. You can find it in the Shop Disney Parks mobile app today and it will probably be appearing in the theme parks for purchase fairly soon. 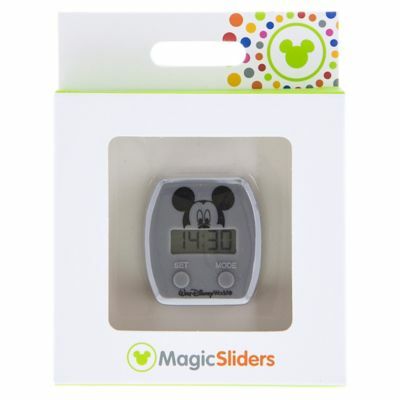 3 Responses to "Disney releases updated digital watch clock slider for MagicBands"
Sure wish they would do one that counted steps so I wouldn’t have to wear my fitbit AND magicband! Shaw this one at pin trading shop in disney springs today. 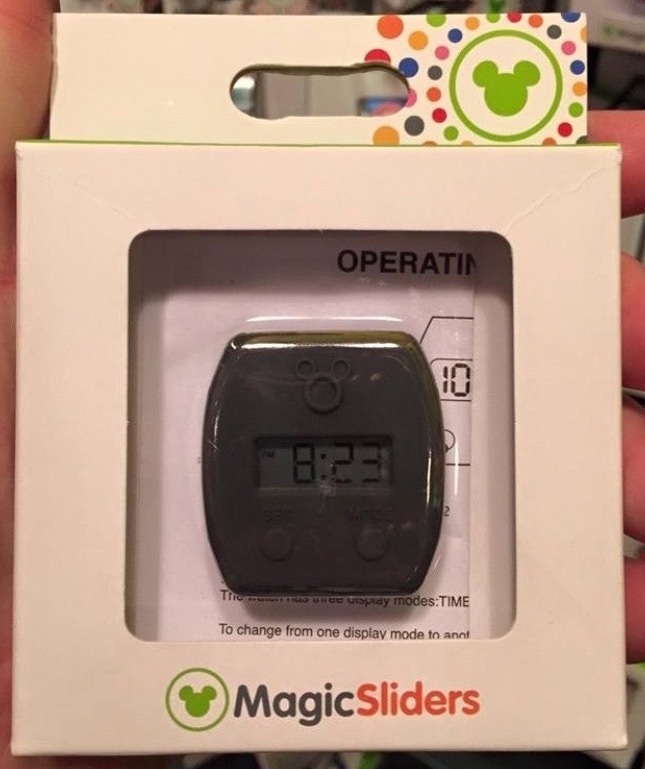 Do these watch sliders fit the magic band 2.0?